February is such a short month! Yet so much can happen!! After being confined pretty much to my house, with no driving for 6 weeks, I thought time was going to drag somewhat, but actually the time has literally flown by. 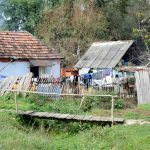 I think in the main due to so much happening in Smiles – whether in Romania or England or America – it has all caused the days to be very busy and quite pressured to be honest, hence time has flown by. Here I am now, after all the medical procedures and recovery, back in Romania. I flew back on February 27th. Judging by the issues to be dealt with here, if I thought time flew back in England – the next few weeks in Romania will be a tornado! So what has been filling the days so much in recent weeks? Well, as much as anything has been the rethink of Projects and Smiles Clubs, how to launch the newer projects in a more structured manner and generally make all the different projects easier to grasp and explain how they fit into our overall plan. The net result of that thinking, has been to establish two new Clubs altogether. 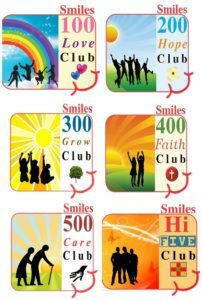 Smiles 300 Grow Club and the 500 Care Club. The 300 Club has taken more specifically the Tileagd Projects to do with the Gypsy Community, Craft Project along with School and Nursery. 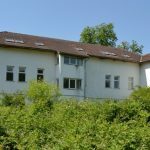 The 500 Care Club taking the new major projects of Residential Care, namely, JFL 1 & 2 in Salonta, ECO in Oradea and in preparation for the Adult Assisted Living Facility that will be in Tileagd. It also meant some switching of projects, between the 100 Love Club and 200 Hope Club. Then finally, I decided to focus all our Church, Pastoral and Outreach work into the 400 Faith Club. Once all that had been decided in principle, we had to decide how best to present it to our supporters and those who are viewing the Smiles Work each and every day. This meant a lot of work was needed on the Website – so as you may have already seen, major changes have been made to the website. Not just in ‘presentation’, but also in ‘content’. Everything has been updated, rewritten or created for the first time as was necessary. It has really been a huge job, but I sincerely hope you find the updated website both attractive and friendly to navigate. My sincere thanks to Dawn who has also spent many hours taking my ‘text writing’ and formatting it all onto the Website. Other news on the website for a little further down the road is that a likely NEW DESIGN is on its way! Dawn and I have already had a meeting with a Web Designer in Leeds as a new site is needed because the Software we currently use for the website is old and verging on obsolete. If all goes well, the totally New Website could be launched within a couple of months, but more on that nearer the time. Having been away from Romania for more than 2 months, there is a lot awaiting my attention now that I have returned. Many staff issues of course, especially with changes that have happened with various Romanian Employment Laws since I left in December. So I have a lot to catch up on here with necessary discussions with the Management Team and several of the staff. We also have new staff who have joined since I left in December. Notably our Cihei based Social Assistant – Ioana Pop – who is serving the Family Care, Homeless, Salard and as time allows,Tileagd Projects. A great deal for her to learn but so far, I hear she is doing very well indeed. We also have a new teacher – Ana Maria Vandici – at the Gepiu ‘After-School’ project. So a few new people to meet and several others who ‘need a chat’ concerning issues that have arisen these past couple of months. One member of staff I would like to appoint but haven’t been able to yet, is the teacher for Literacy Classes and more, for the Rapa Community. We need additional support for this appointment and anticipate the cost being approximately £300 a month. Enough sponsors or a few special fund-raisers throughout the year could raise the necessary funds. 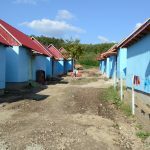 Just as soon as we have or know of the support being there, we will move to employ the right person to take the Rapa Community to their next level with education. Just as I am back in Romania we start our first Mission Trip of 2017 with a team from Eureka College in Illinois USA. It is the first time we have a team from Eureka, so we look forward immensely to sharing the work of Smiles with them and hope we will see great opportunities from the college for future visits. A lot of teams from the UK and America are working on trips this year, so we look forward to some great Mission Teams visiting throughout 2017. We have a lot of work planned for those able to come and help, so if you haven’t made enquiries yet, e-mail or call the office to talk through your interest. We need you to help fulfil all the possibilities we have this coming year! With the transformation of the Tileagd Complex to be ready for the new Adult Assisted Living Facility, we need teams of people to help with finishing work, especially in May and June. Painters, Cleaners, Room Fitters and of course, lots of Gardening, Landscaping and Fencing needs to be done around the building to make it perfect for our new residents. 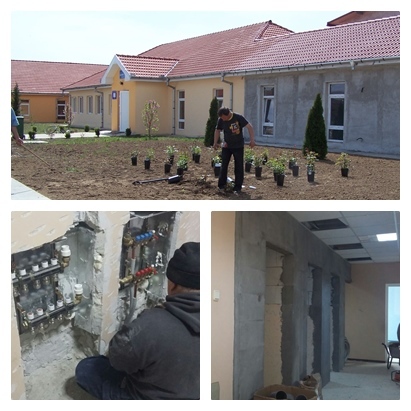 Whether on your own, or with a few friends, please consider coming out to Romania for a PST (Project Support Trip) specifically to help us get the New Facility ready. Cost is fantastically low, starting at £325/$425 plus air-flight for a full all-inclusive week. Fantastic accommodation, food and fellowship while getting all the work done! One thing is for sure, the size of the Smiles Foundation today requires a much bigger support base across the United Kingdom and America to help maintain the exciting yet very important projects impacting so many areas of society – such as Spiritual Growth and Outreach, Family Poverty, Homelessness, Domestic Abuse, Education, Elderly Care and Support for the Disabled. 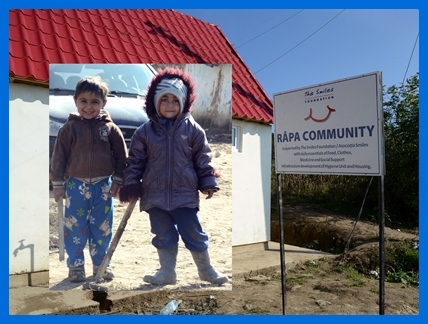 We not only need more people supporting through monthly sponsorships, personal donations and organised fund-raisers – we also need more people coming to Romania to see the work first hand and be inspired to return home to make an on-going difference sharing the needs in Romania with family, friends and community. This month, I am delighted to share the news that we have a wonderful opportunity to see the needs within Smiles promoted more consistently as Luke Wathen takes on a full-time role as a UK Development Ambassador. Luke has been in Romania with Smiles on a Year Career Break, but during his stay, which was due to end March 31st, he has felt God call him into a full-time ministry sharing the work of Smiles through Presentations across England, Wales and Scotland – wherever he is invited to go! 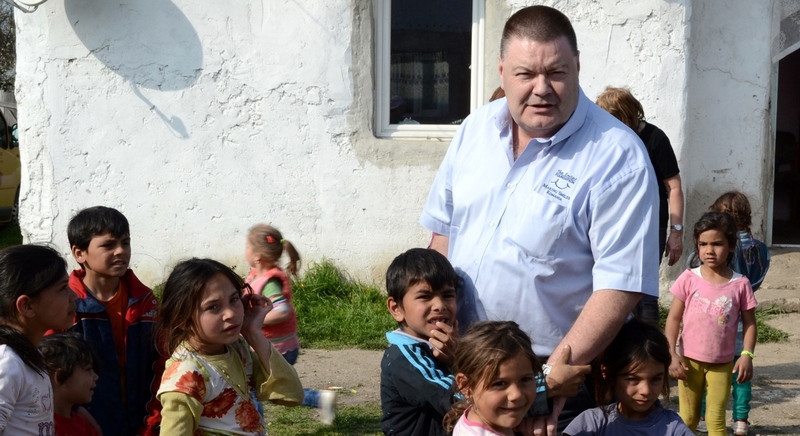 Luke will continue serving in Romania, especially during Mission Trips, so as to connect with visitors and help to develop and promote the work of Smiles. He will spend up to 5 months a year touring the United Kingdom presenting Smiles to Churches, Schools, Colleges and Community Groups. He can be contacted through e-mail to see when he can visit your area. Email Luke. Luke is now taking invitations for September & November 2017 and January – March 2018. 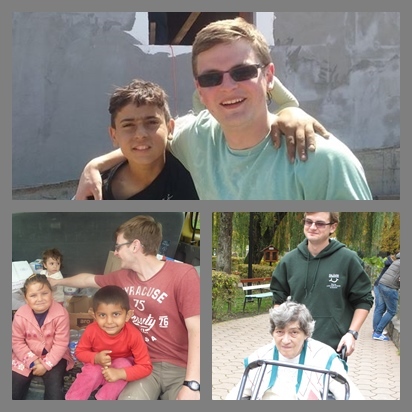 In April’s update, which we hope to launch on March 31st, Luke will have a ‘Welcome Page’ where he will better introduce himself, share his experiences of a Year in Romania and what his hopes are for the year ahead. Don’t miss the Luke Wathen Page on Smiles Website from April 1st 2017. 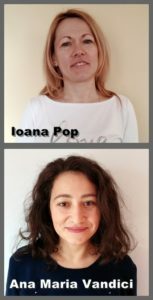 Today, we have new reports from the regular team so don’t miss the March Updates from the Romanian Executive Management – Maria, Georgi and Adi plus of course the regular monthly report from UK Volunteer Coordinator, Barbara Morrison. Maria – When the going gets tough, the tough get going! Our Thankful Heart this month is Radu Macai from Cuiesd. Be sure to watch his video message. A lot of exciting news for you, so be sure to read it all as time allows over the comi ng days. In closing, as we move into March we sincerely hope the harsh winter Romania has experienced this year will be behind us and milder weather will start to emerge. The cold has caused many projects to exceed their budget for heating and fuel costs. They couldn’t do much about that, short of letting beneficiaries go cold, which is not what we are here to do. So extra money has been spent and if you can help with covering these extra costs, please send your gift to Smiles, designated to your project of interest, marked ‘Winter Fuel’. If you don’t mind which project benefits, mark your gift for ‘Winter Fuel WMN’. Every gift of whatever size will make a significant difference to the Project Budgets for the year ahead. Thank you for your love and concern for every aspect of the work. I look forward to keeping in touch and hopefully seeing you in Romania sometime soon.